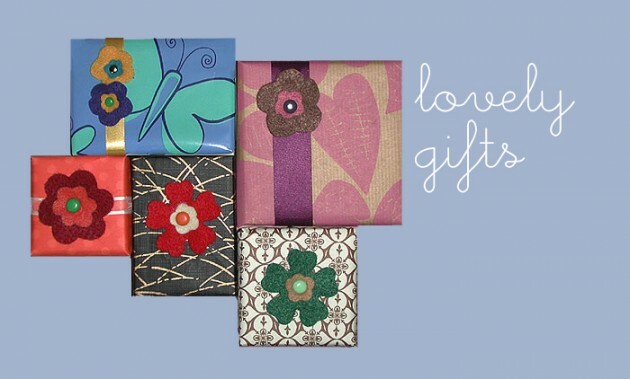 Colorful felt flowers I make to use as gift wrap embellishments. Felt is so affordable and comes in so many colors that I end up buying more than I can ever use. I use a Sizzix machine to cut the flower shapes, add a hole to the center of each layer, and attach with the brad (or button). 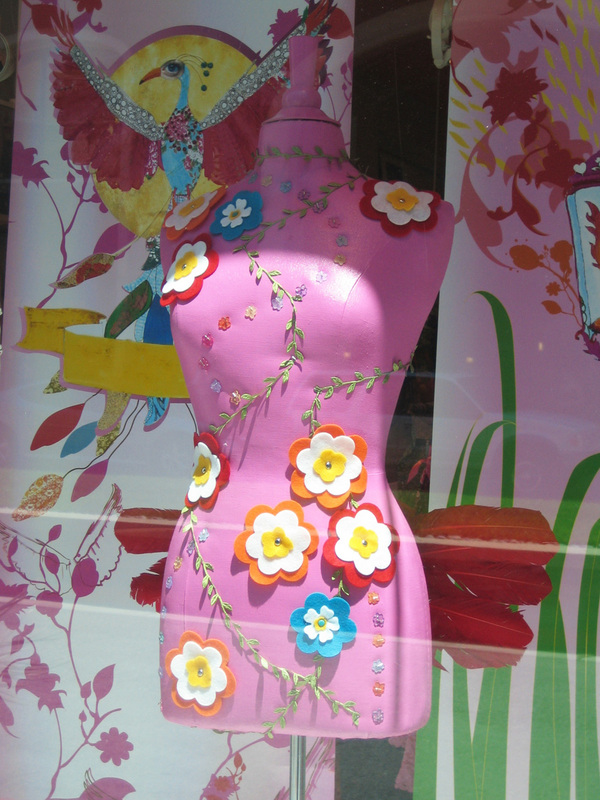 Way back in 2006, Dutch fashion house Oilily used them in their store windows across the US! How exciting!